If there is one thing that can be said about Toyota it is that they know how to make a 4×4! Some would go as far as saying they make the best! Furthermore we aren’t talking about the kind of 4×4 you might expect a football or wag to drive… We’re talking the kind of 4×4 that can scale mountains and attack some of the harshest terrains there are. And there is one Toyota in particular that is kicking up a fuss in Japan, the fabled Toyota Land Cruiser 70. One of the most mysterious things about the Land Cruiser 70 is that Toyota stopped producing them for the Japanese market in the first place. After going on sale in 1984 it became popular in Australia, Africa, New Zealand and the Middle East. The fact that it has a market in those places tells you something…. It thrives off danger. However it stopped being sold in 2004, yet it is such a beloved car that enthusiasts have gathered at Toyota in a kind of protest to bring the Land Cruiser 70 back to celebrate the 30th anniversary. And the Japanese are in for a treat as that is exactly what Toyota is doing! Furthermore, it is very much going to be a throwback to the original 1984 model. It will of course have a few added features to keep it inline with more recent rules and regulations. 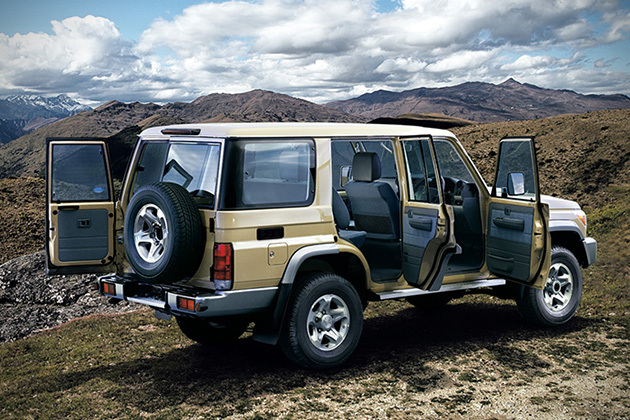 There will also be a pick up version of the Land Cruiser 70. Unfortunately however they only expect to be producing the special Land Cruiser 70 for about a year until demand wears off a little. As far as we are concerned the pictures look great, but will it satisfy the rest of the market!? Either way we would love to give it a drive.